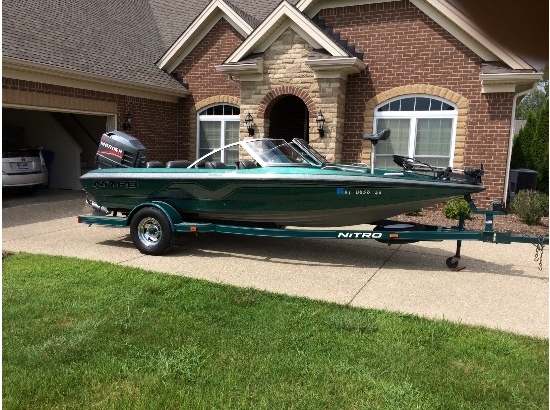 2000 Nitro 185 Sport MOTOR IS MERCURY 150 XR6, INCLUDES MOTORGUIDE BRUTE 767 67LB TROLLING MOTOR, EAGLE FISH FINDER, AND COVER! The Nitro 185 Sport is twice the boat for the money. It is a full-featured fishing boat coupled with the ability to go skiing and cruising. This boat also has a redesigned exterior look. We've also upgraded the removable trolling motor for a full 67-pounds of thrust. For an 18-footer, this dual-purpose boat has plenty of space for water toys and fishing gear, a wide front deck area, and a large aerated livewell. 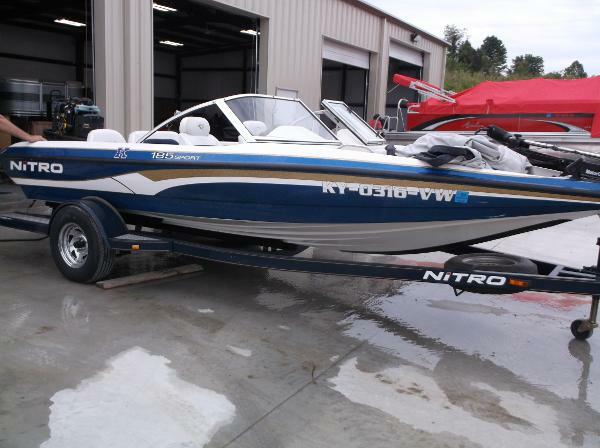 2002 Nitro 185 Sport The Nitro 185 Sport is twice the boat for the money. It is a full-featured fishing boat coupled with the ability to go skiing and cruising. This boat also has a redesigned exterior look. Nitro has also upgraded the removable trolling motor for a full 67-pounds of thrust. For an 18-footer, this dual-purpose boat has plenty of space for water toys and fishing gear, a wide front deck area, and a large aerated livewell. 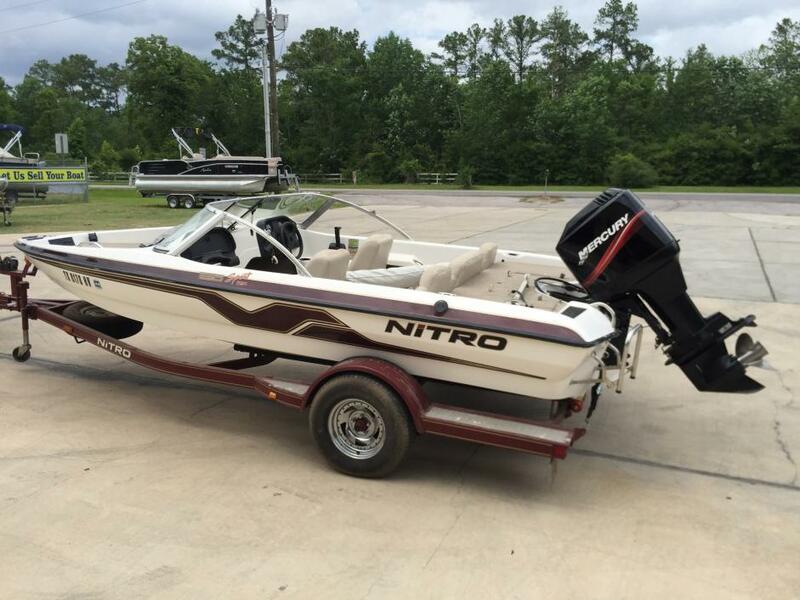 This 2002 Nitro 185 Sport is powered by a Mercury 125hp 2 stroke outboard. 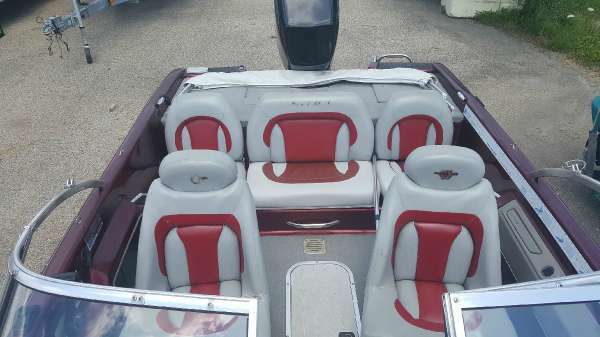 Comes with full cover, Bikini top, New motorguide trolling motor, 2 Hummingbird fish/depth finders, 2 pedestal fishing seats, Ski tow bar and more. A single axle factory matched trailer is included. $11,995.00 or finance for $119.00 per month W.A.C. 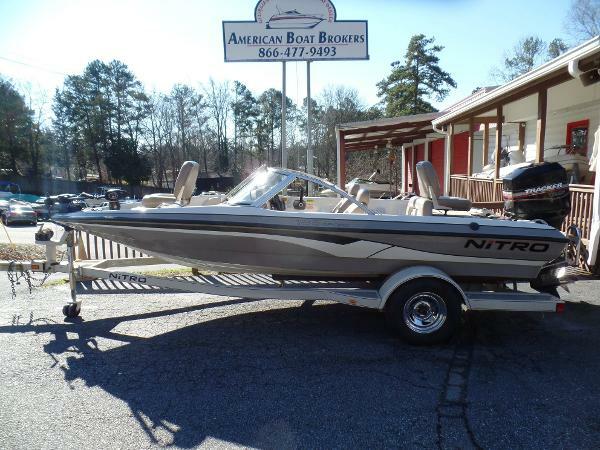 For more information on this 2002 Nitro or almost 100 pre-owned boats in stock call or email American Boat Brokers today!